On Wednesday 29th April I gave my Allowing Mistakes to Happen presentation at Libre Graphics Meeting in Toronto. I was quite anxious about this because the attendees are, typically, developers of software and/or graphic designers. 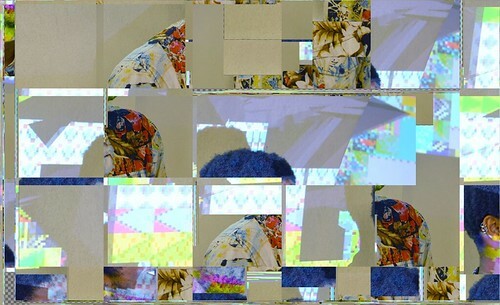 Looking through the archives I found only a comparatively small amount of presentations from artists talking about their artwork and even fewer from those you might call experimental artists (glitch art, generative art etc). My fears were put to rest somewhat once my presentation actually happened. Despite my computer crashing towards the end (glitch lol) it seems to have struck a chord with many of the attendees. It seemed that they liked that I was turning bugs and the bug hunting process into a form of art. One such person that was inspired was Michael Natterer, aka Mitch, one of the developers for GIMP, the premier open source photo and image editing software. 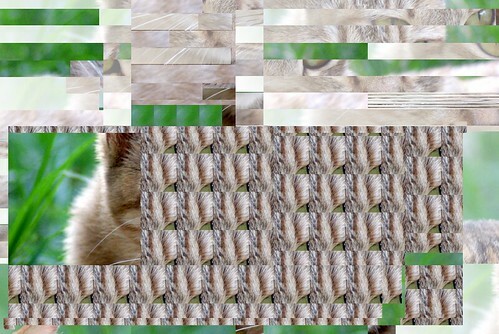 He showed me how by changing one option when compiling Cairo the contents of the image window would be glitched. Of course I was quite impressed by the prospect of having a full-featured editing program that could produce only glitch art, so quickly sought advice on compiling it for myself. 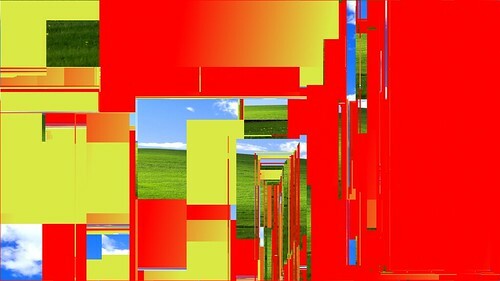 Presented below are instructions for creating your own glitched GIMP. This compilation process and the resulting binary file has only been tested on Ubuntu 15.04. I have no way of knowing if the same will work on Windows, Mac OSX or any other flavour of Linux. Also, this tutorial assumes that you have some knowledge of compiling software. If this is all daunting to you go do some research. To avoid conflicts we’re going to compile and install Glitch GIMP to its own directory, leaving the original GIMP unmodified. 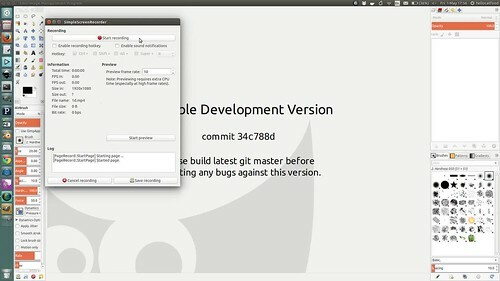 First create build and installation directories. In the build directory you’ll need to create a file which will hold our environment variables. These environment variables will tell the computer where to install GIMP. A word of caution, these environment variables are valid for the current session. In other words, if you close your terminal window you’ll have to load these in again. Fill you env.sh file with the following, changing the first line to point to your install directory. Now fill your session with those variables. Now we can begin compiling! You’ll have to install GIMP’s dependencies and an extra library. Still in the build directory you’ll now have to clone parts necessary to compiling GIMP. hint: if, like me, you have four processors you can run [code language=”bash”]make -j4[/code] to speed up compiling. In your install/bin directory you should now have a file called gimp-2.9. Run this and let the glitch begin. One thing you will instantly notice is that you can’t directly export the glitch output to a file. 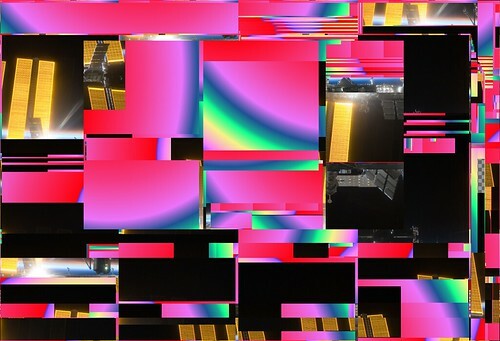 This is for display only and, like true glitches, can’t be easily replicated or captured. The only way to do this is to take a screenshot, which is ideal for on-screen display but not so great if you want print quality output. I’ve been told that I could produce some more reliable glitches by creating or hacking GEGL plugins. I haven’t delved into this yet but if anyone wants to assist please do get in touch. I never would have gained this knowledge had I not been able to attend Libre Graphics Meeting. As seen in the forum thread describing how I came across the databending in Audacity method, trying to ask developers how to creatively break your software can be a confusing task. However, being able to show the developers IRL what can be produced allowed the flow of information to be smoother and more productive than an e-mail exchange would have been. Libre Graphics Meeting will be coming to London in 2016 and the aim is for it to be free for all to attend, and to cover travel costs of speakers, as it has done every year. If you want to help more stuff like this happen donate now.